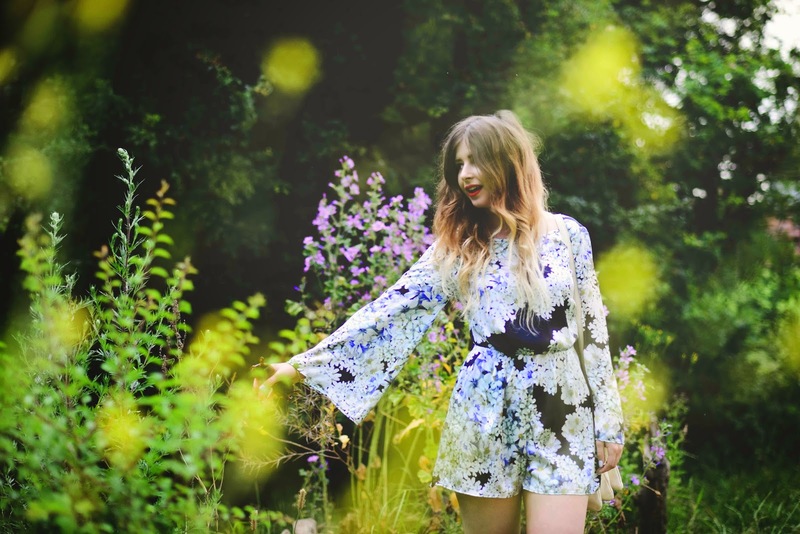 Silky, daisy print and bell sleeves, what more could I want in a playsuit? I've worn this '70s style number a fair few times since purchasing from Topshop (last chance to buy section!) a couple of months back. I adore the shape, the V back detail and I think it works well daytime or for a night out. As this photos were being taken, the skies decides to open and it poured down with rain. Being a self-confessed 'optimistic dresser' I failed to have a coat or an umbrella and was left soaked. I guess I'll be better prepared for the true British Summer next time! This is such a pretty, relaxed, summer look. 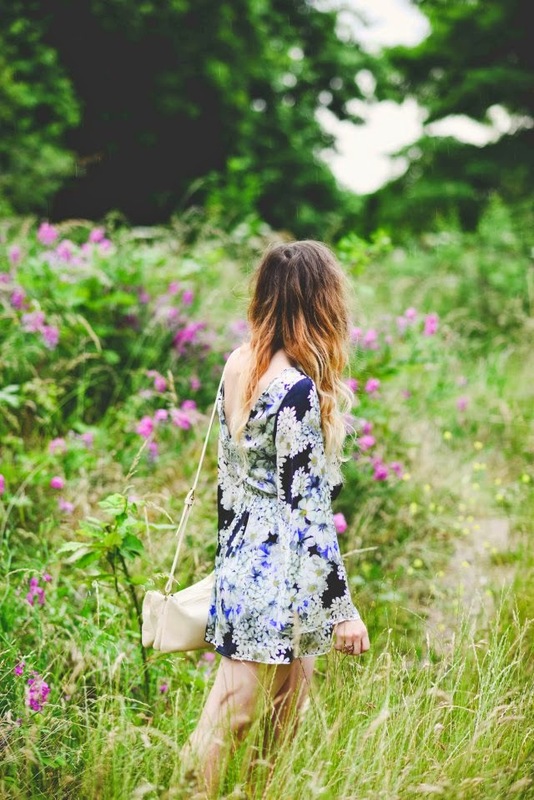 You look like a modern-day hippy (in the best possible way!). Oh my gosh, I can't believe this is Topshop! These snaps are sooo beautiful. WAH! I've been searching for a nice one but still haven't find one. These are such gorgeous photos! You look so pretty. 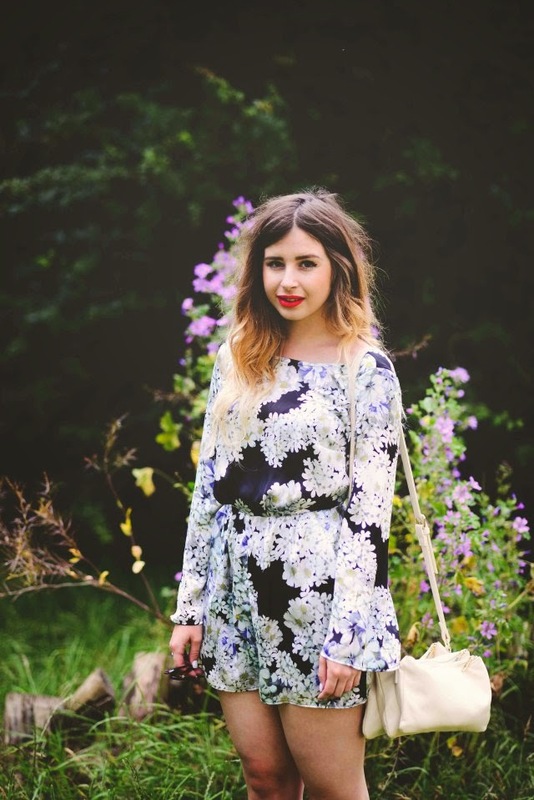 You look amazing, love that playsuit! Love love love this look and the photography!